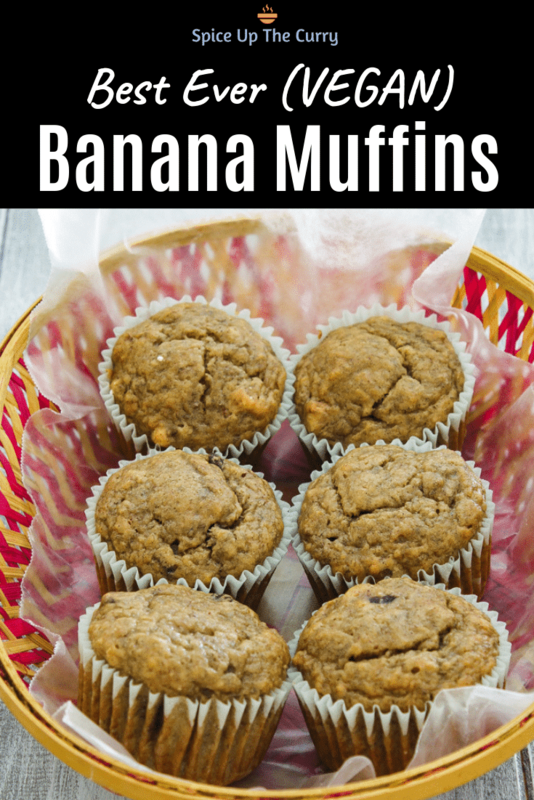 Eggless banana muffins recipe – very light, soft and moist muffins recipe with full of banana flavor. These are vegan banana muffins too. The texture of this muffin is very light, fluffy and moist. 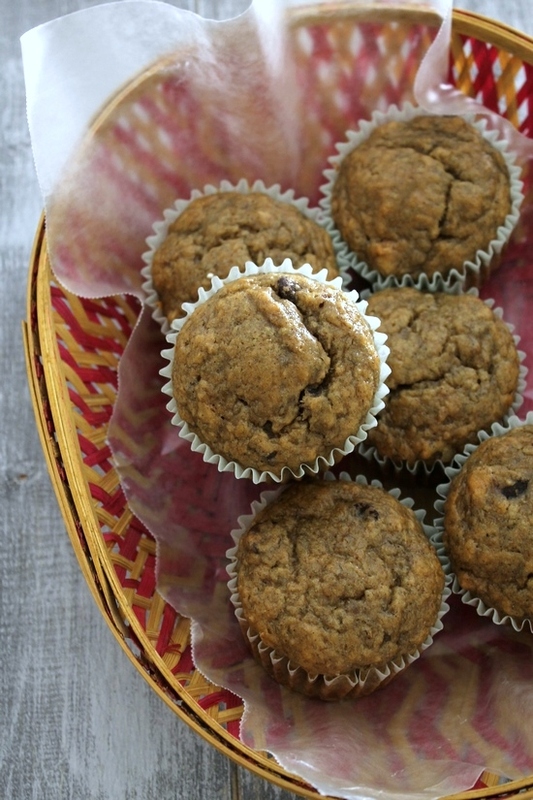 You won’t believe that these are eggless banana muffins. These muffins are perfect breakfast for your family if you have sweet tooth for morning.These muffins are egg free as well as dairy free. I have included options to make these muffins vegan. It has perfect sweetness from sugar and bananas. Always use over-ripe banana whenever you bake something with bananas. It makes baked goodies naturally sweet, more of banana flavored. You can adjust the sugar quantity as per the sweetness of the banana. Some people like cinnamon flavor in their banana muffins. If you are one of them then add cinnamon powder. Actually I love the cinnamon flavor so much whether it’s apple muffins or chocolate chip muffins . In the step by step photos, I have made half batch (6 muffins only). Because it was only for me and hubby. The ingredients mentioned are for dozen muffins. 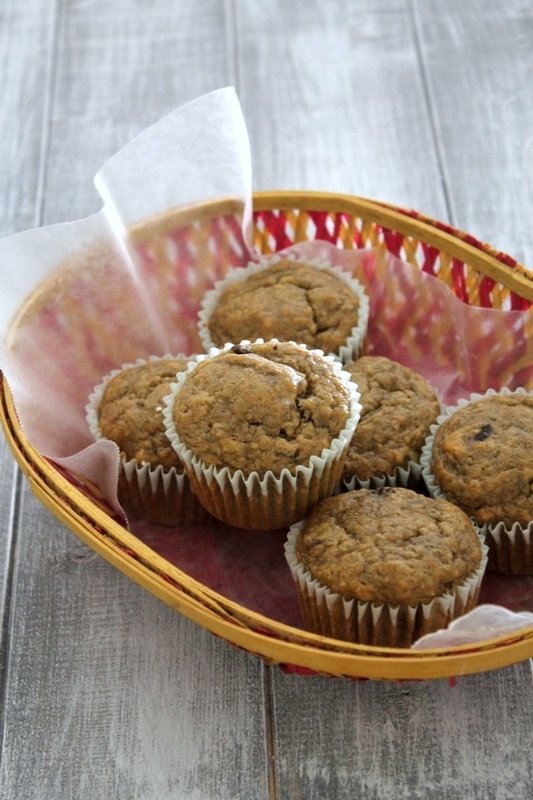 eggless banana bread // eggless chocolate banana muffins // eggless buckwheat banana muffins. 1) Preheat the oven to 375 degree F or 190 degree C for at least 10 minutes. place the oven rack in the center of the oven. 2) Line 12 cup muffin pan with cupcake liners and keep it aside. Or you can simply spray it with nonstick cooking spray or grease with butter or oil. 3) In a bowl, take all purpose flour, baking soda, baking powder and cinnamon powder. 4) Stir till everything is mixed well. 5) Here I am using really ripe bananas to get the best flavors of it. The skip gets black and inside it so soft, that is the time that your banana is over ripe. 6) In a large bowl, mash them using fork. 7) Add margarine and oil. 9) Add brown sugar and white sugar. 10) Again beat it till sugar is dissolved. 12) and beat it again. 13) Now add dry flour mixture to it. 14) Mix it, halfway through I switched to the spatula. Mix till everything is incorporated well, Do not overmix it. 15) Lastly add chopped walnuts and chocolate chips. 17) divide the batter into 12 muffins cups. 18) Bake them into preheated oven for 24-25 minutes, or till the inserted toothpick in the center of the muffin will come out clean. 19) Let the muffins cool down for 5 minutes in the pan. Then remove it to a wire rack to cool completely. You can serve it warm or at room temperature. Make it and let me know how you like it in comments below. Storing the muffins: Once muffins cool down completely, then you can store them in airtight container in refrigerator for 3-4 days. You can freeze them and warm it up in microwave before serving. Serving suggestion: If you have sweet tooth, you can have it as a breakfast. You can pack in kids snack box or give them as an afterschool snack. 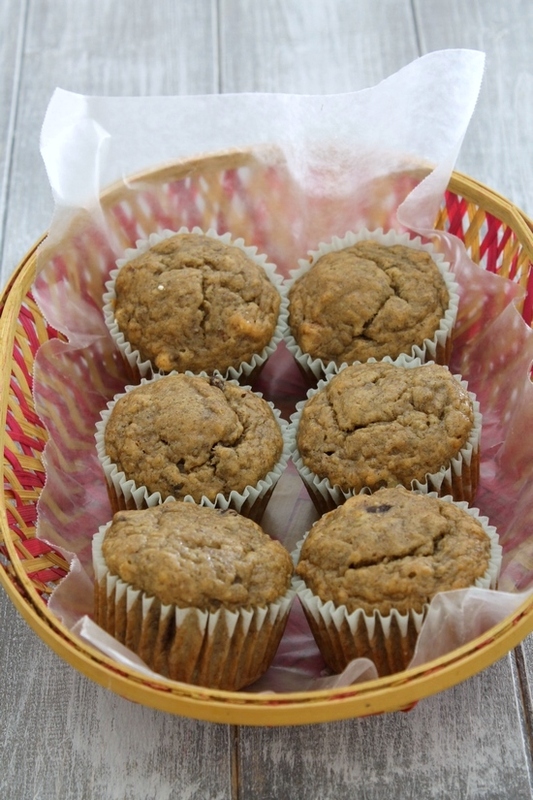 Eggless banana muffins recipe or vegan banana muffins - very light, soft and moist muffins recipe with full of banana flavor. Preheat the oven to 375 degrees F or 190 degrees C for at least 10 minutes. place the oven rack in the center of the oven. Line 12 cup muffin pan with cupcake liners and keep it aside. Or you can simply spray it with nonstick cooking spray or grease with butter or oil. In a bowl, take all purpose flour, baking soda, baking powder and cinnamon powder. Stir till everything is mixed well. In another large bowl, mash the bananas using fork. Add margarine and oil. Beat it well. Add brown sugar and white sugar. Again beat it till sugar is dissolved. Now add dry flour mixture to it. Mix it, halfway through I switched to the spatula. Mix till everything is incorporated well, Do not overmix it. Lastly add chopped walnuts and chocolate chips. Fold them in. divide the batter into 12 muffins cups. Bake them into preheated oven for 24-25 minutes, or till the inserted toothpick in the center of the muffin will come out clean. Let the muffins cool down for 5 minutes in the pan. Then remove it to a wire rack to cool completely. 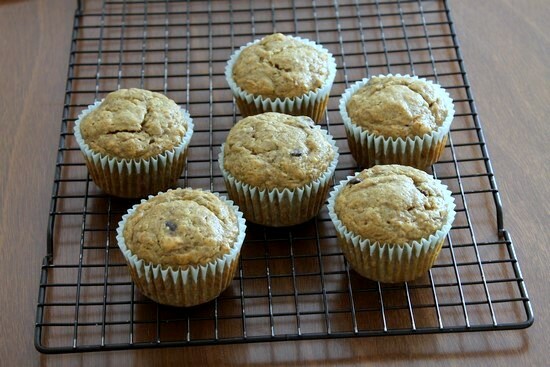 **For vegan muffins, use vegan butter or replace with oil and use dairy-free chocolate chips or skip it. I’ve made these three times and they are amazing. you would never know they are vegan! very glad to know you liked. I’ve made this recipe at least 5 times: mini muffins, regular sized muffins, and loaf pan. Each time it comes out absolutely delicious. It’s one of my husband’s favourite desserts he LOVES how soft and just the right amount of sweet they come out each and every time. I’ve booked this recipe and I plan to make it many, many more times! Very glad to know that you enjoyed this recipe. My kids made these in a mini-muffin tin and they came out beautifully! They baked fast as the tins are small, but the fabulous flavour and moistness were still there. The pictures in your recipes, Kanan, are well done and very helpful. Instead of chocolate chips or nuts, my kids sprinkled a tiny bit of homemade granola on top, halfway through baking. They served them at a kids’ tea party and they all got gobbled up. The cinnamon was a good addition and much appreciated. It seemed to enhance the banana flavour and we loved the combination. Thank you for another fabulous recipe, Kanan! Very glad to know that everyone enjoyed. 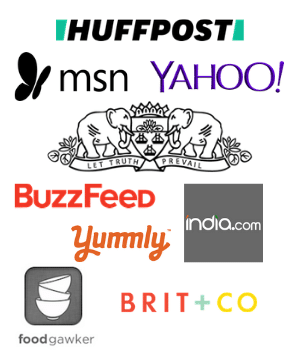 Thank you for detailed feedback.